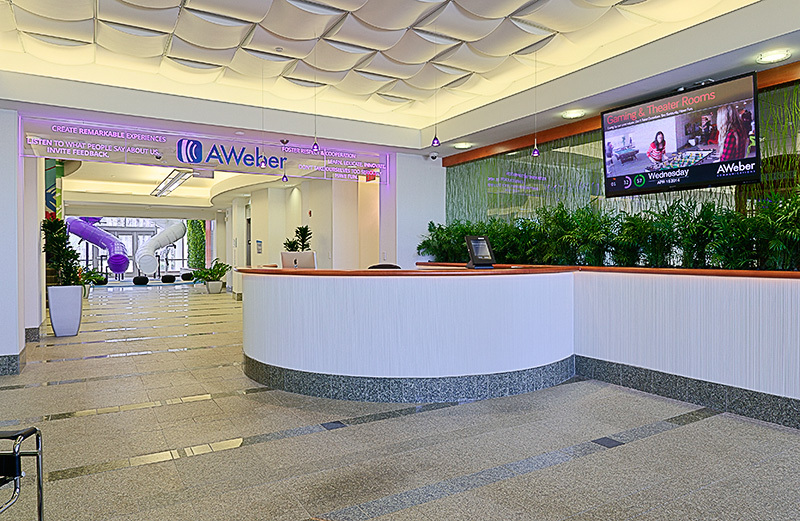 AWeber, an email marketing software company located in Chalfont, PA, recently moved into a new 72,000-square-foot facility. The new office, equipped with 40- to 80-inch displays in every room, allows team members, clients and prospects to share information. Classrooms, conference rooms, education spaces and two entertainment rooms are also part of the layout of the new building, each area requiring extensive audio visual technology. AWeber wanted an easy-to-use working environment that was inuititve, innovative and LEED certified. 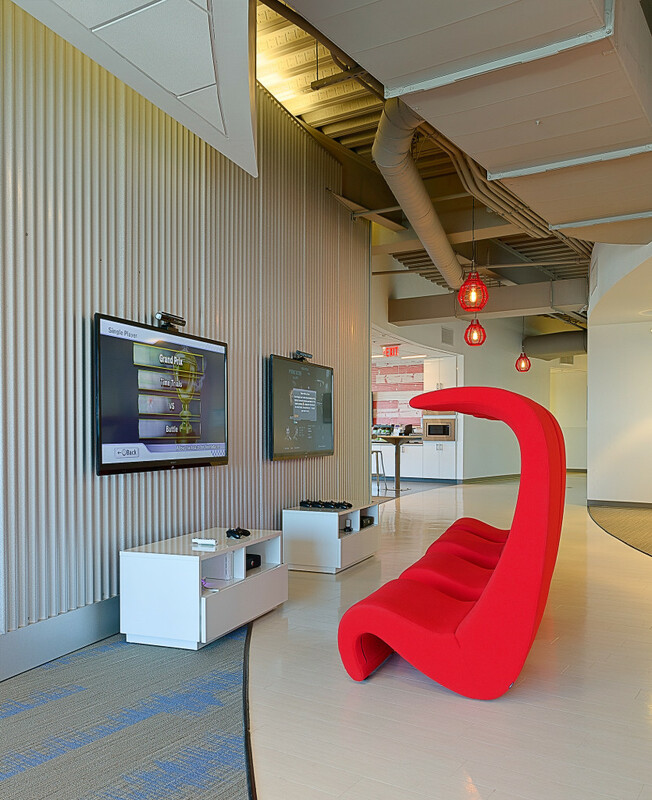 Collaborative technology was required for all meeting spaces, and the technology needed to connect with the building automation system. 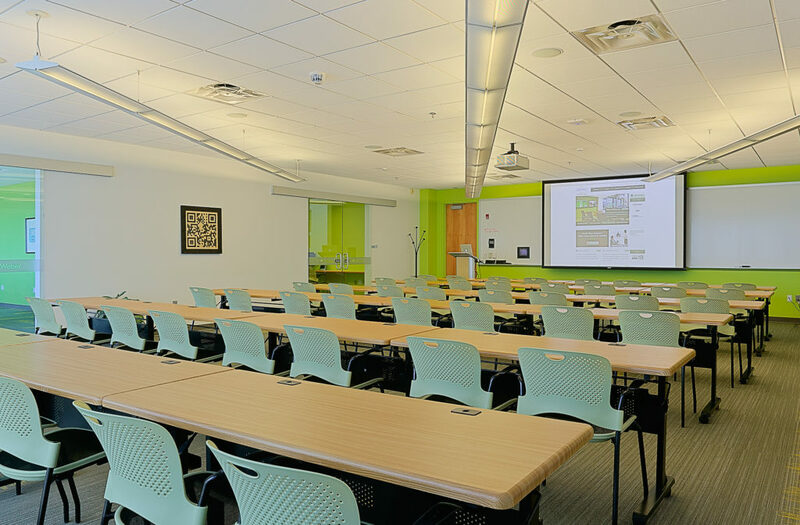 AWeber partnered with AV expert Cenero to create a unique solution, working together to determine the best placement and use for all of the audio visual technology. AWeber has an open office concept and team members often use one of many conference rooms inside the office, each featuring a TV and Apple TV for easy collaboration.